The reason is that at the request of Jeb Bush or his politically-connected associates, the DEA erased Jeb Bush’s name as a recipient or as a sender from the secret surveillance system collected by the DEA, according to a former DEA agent. The secret DEA system had a vast cross-referenced system of anyone who made contact with the people it had under surveillance. According to the former agent, Bush had frequent contacts with drug dealers in Florida at various stages in his political career, including narco-trafficker extraordinaire Leonel Martinez, a now-convicted cocaine dealer formerly based in Miami. As reported in the New York Times in 2013, the DEA ran something called The Hemisphere Project, a partnership between federal and local drug officials and AT&T. This project was not reported, but the disclosure showed a very close relationship between the government and ATT. In its report, the Times said the federal government paid AT&T to place its employees in drug-fighting units nationwide. Those ATT employees worked side-by-side with DEA agents and local detectives and supplied them with the phone data dating back as 1987. But the DEA’s Hemisphere program covered every call that passed through an ATT switch, including calls made by non-ATT customers and included calls dating back 26 years, according to Hemisphere training slides bearing the logo of the White House Office of National Drug Control Policy. The Times article said about four four billion call records were added to the database daily. The information even included where the calls originated from and where they were received, including Florida. Why Was Jeb Bush’s Name Erased? But Bush’s name was erased from the system, so no one could link his name to drug dealers. According to a favorable story on Bush published in the Daily Beast, “as governor, Jeb Bush became a favorite of drug warriors. He mirrored his father’s tough-on-drugs tactics in Florida, won the loyalty of cops and DEA agents, and showed the limits of money in politics. “When Jeb arrived in South Florida after the 1980 presidential campaign, it was a crazy time. “In fact, his dad’s presidential campaign and the Jeb-helmed Dade County Republican Party both took contributions from Martinez, and faced minimal political repercussions when Martinez’s true career was revealed. 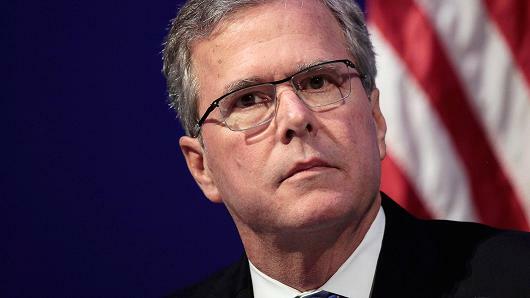 “Eduardo Gamarra, a professor in Florida International University’s department of politics and international relations, said at that time Southern Florida was so saturated with cocaine-tainted cash that it would have been odd if none of it could get traced to Jeb. But now, any of that correspondence between Bush and Martinez, among other drug dealers, is unavailable because it was erased from the DEA system. So the question for this Republican presidential candidate is why he went to the trouble to have those correspondence erased? What was he afraid of the public seeing?